Despite losing 1-0 to visitors Uganda on Thursday in Lome, Togolese coach Tom Saintfiet remains confident his team have what it takes to turn their situation around in Kampala on Sunday. Uganda still blocks their route, of course, and Togo will not be taking their opponents lightly. “They’re a good team with a competent coach,” said Saintfiet. “They’re favorites to qualify because they’re 20 places higher than us in the World Ranking. But our goal is to reach the World Cup and that means we have to beat them’’. He adds that they (Togo) lacked proper preparation before the first game and believes winning in Kampala won’t be too easy. His counterpart Milutin ‘Micho’ Sredojevic has called upon his players not to get carried away by the slim first leg result but rather consolidate on the away performance and finish the job on home turf. Farouk Miya’s 40th minute free kick from about 37 yards out was enough to give the Uganda Cranes over the Sparrow Hawks as the two teams head into Sunday’s second leg at Nambole. 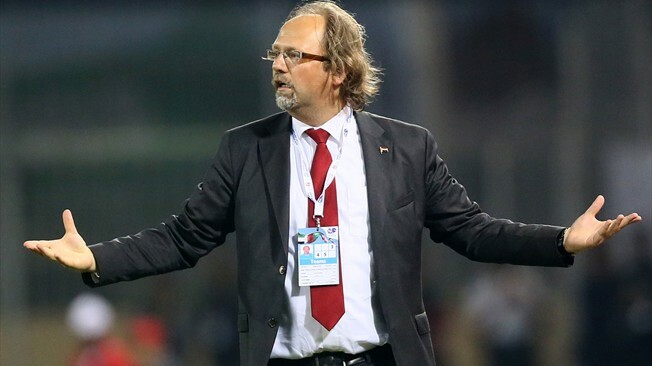 The Belgian has become a veritable expert of the African game since his first adventure in his 20s, having coached a quartet of national teams on the continent before accepting the Togo job in May. “I came to Africa to qualify a team for the World Cup,” he explained. “That’s why I coached Namibia when I was 35. I’ve progressed step by step and I’ve learned a lot thanks to African football.” He said. Russia 2018.Tanzania squanders a 2-goals lead to share the spoils with Algeria. Russia 2018: Can Zambia cope without injured Kalaba?